This project develops a framework for design automation of cyber-physical systems to augment human interaction with complex systems that integrate across computational and physical environments. As a design driver, the project develops a Body/Brain Computer Interface (BBCI) for the population of functionally locked-in individuals, who are unable to interact with the physical world through movement and speech. The BBCI will enable communication with other humans through expressive language generation and interaction with the environment through robotic manipulators. 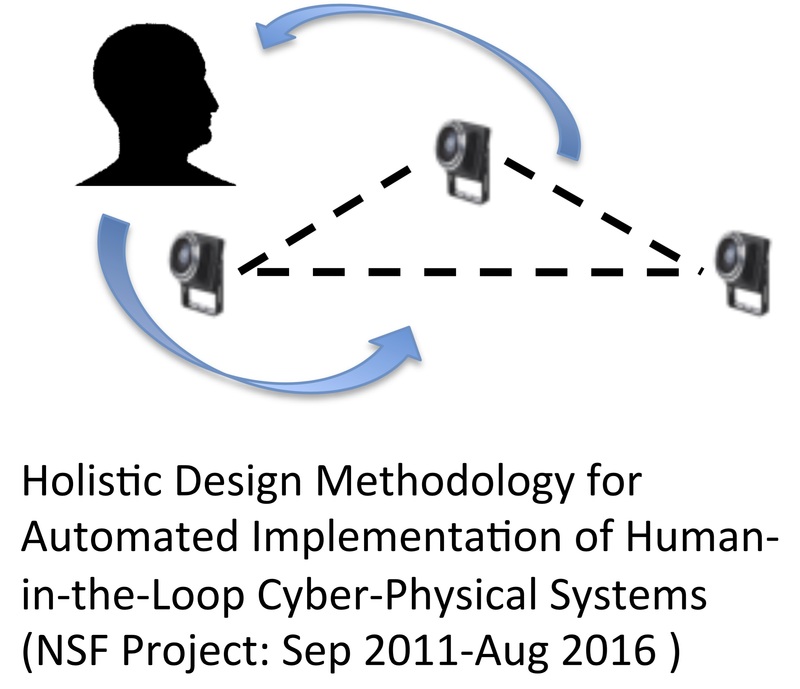 Utilizing advances in system-level design, this project develops a holistic framework for design and implementation of heterogeneous human-in-the-loop cyber-physical systems composed of physically distributed, networked components. It will advance BBCI technology by incorporating context aware inference and learning of task-specific human intent estimation in applications involving semi-autonomous robotic actuators and an efficient wireless communication framework. The results of this project are expected to significantly speed up the design of complex cyber-physical systems. By accelerating the path from idea to prototype, this work shortens the time frame of and cost of development for assistive technology to improve the quality-of-life for functionally locked-in individuals. This project establishes an open prototyping platform and a design framework for rapid exploration of other novel human-in-the-loop applications. The open platform will foster undergraduate involvement in cyber-physical systems research, building confidence and expertise. In addition, new activities at the Museum of Science in Boston will engage visitors to experiment with systematic design principles in context of a brain computer interface application, while offering learning opportunities about basic brain functions. M. Swaminathan, F. S. Cabrera, J. S. Pujol, U. Muncuk, G. Schirner, and K. R. Chowdhury, “Multi-path Model and Sensitivity Analysis for Galvanic Coupled Intra-body Communication through Layered Tissue,” IEEE Transactions on Biomedical Circuits and Systems, accepted, Dec. 2014. M. Swaminathan, G. Schirner and K. R Chowdhury, “Optimization of Energy Efficient Relay Position for Galvanic Coupled Intra-body Communication,” IEEE WCNC, accepted, New Orleans, LA, 2015. M. Swaminathan, J. S. Pujol, G. Schirner and K. R Chowdhury, “Multi-path 2-Port Channel Characterization for Galvanic Coupled Intra-body Communication,” 9th International Conference on Body Area Networks, London UK, Sept. 2014. G. Schirner, D. Erdogmus, K. R. Chowdhury, and T. Padir, ``The Future of Human-in-the-Loop Cyber-Physical Systems," IEEE Computer, vol. 46, no. 1, pp. 36-45, January 2013.